I guess we can testify to the saying that "Third time's the charm," because she was our third referral. If you want to read about our first referral, click HERE for Part 1 and click HERE for Part 2. Our second referral came and went very quickly (it happened about two weeks after our first referral). Her special needs were "cleft lip and palate." We had no idea what kind of care these needs involved, until we received the referral and began asking around. We quickly decided that just as with the first case, there were too many "unknowns" for us to be taking on this child as our third. Again, it was not an easy decision (this time, the file came with a short video clip of the child - ohhh, I can still remember the pang I felt when I watched the video). Still, Allan and I both had peace that she was not ours. After declining two referrals, we felt confident that we need to scale down the list of special needs we originally said we were open to. We realized we were pretty naive and clueless about how much care some of these special needs involved. I'm planning to include an FAQ (frequently asked questions) section on our blog regarding the adoption process, but I'm sure one of the questions you're wondering is why we went with a special needs child list in the first place. 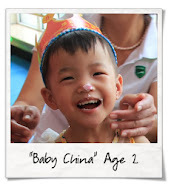 The main reason: the process goes much, much faster than with a healthy child list, and in China, even something as minor as a big birthmark can place a child on the "special needs" list. 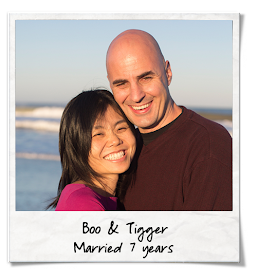 We knew we wanted to adopt from China, and we felt confident that our family can handle a minor special need. How "minor" was the area we knew we had to clarify between us and our agency. Almost a month had passed since we received our second referral. We were not anxious at all; we knew the process may take longer now that we were waiting for a child with less severe special needs (as were many other families). Life got a bit busier for us, and it took me a while to get on the ball about revising our special needs preference list. I was finally about to submit our revision, when I received a call from our agency unexpectedly. They had a file for us to review. She was 19 months old. Her only special need listed was "motor development delayed slightly" (minor delay is very common in children raised in orphanages). As our agency continued describing her file, I remember thinking, "This all sounds too good to be true." First, it was one of rare instances where our agency's contact in China was able to grab a hold of this file before it was released into a "Shared List" (a list that multiple agencies can view and access for a particular family in their agency to consider). Second, she was transferred from her orphanage to a foster home last November, and her foster home is run by Half the Sky. I've heard great reports from other families who have adopted children raised in homes run by this organization. I heard that the children are well looked after, and they have less difficult time with attachment once they are adopted. 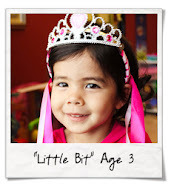 Third, she will be turning two in July, which will be right around the time we travel. We were hoping for age 2 or younger by the time we adopt our child (the other referrals were slightly older). We looked at her pictures. The first set of pictures we saw on the day we received the referral were from when she was 10 months old. She had a very happy smile. We laughed over her "Mohawk." We were able to receive her updated measurements and photos the very next day. In the second set of pictures, she looked less happy, but we were glad that they let her hair grow out. By this time, both Allan and I had so much peace. We both agreed that there's absolutely no reason we can come up with to say no. People ask me, "So, did you immediately know she was the one?" Yes and no. I tell them, it was definitely more of a logical decision than an emotional one. Did I feel this sudden burst of emotion that she's the one? No. But at the same time, from the moment our agency told us about her file, we felt this underlying peace that we can move forward with no hesitation or regret. From looking at her pictures, I don't think either of us had this "magical" feeling that Yes! That's the one! This is OUR child! But apparently, someone else in our family did. We've been telling both of our girls about our family adopting a new baby sister since the process began. Naturally, since Peanut is two years older, she seemed to understand more than LittleBit. I would tell her about her new baby sister from China, and she began to call her "Baby China." This leads to the background of the moment she saw the picture of our referral. To my knowledge, she does not know what a Chinese person looks like. She knows that Mommy and Mimi are Japanese, because they speak Japanese. She knows that I went to visit Japan (a place far away) last April. The only thing she knows about China is that it's also a place far away, where her new baby sister lives. As I was discussing our referral file with Allan, a thought popped into my head: show the pictures to Peanut. So I called her over to my Macbook; I did not tell her anything about the file (and she was in a separate area where she was not able to hear our conversation). I told her, "I just want you to look at some pictures." I showed them to her. Her first words that came out of her mouth were, "Aww...that's Baby China. When do we go get her?" I was speechless. I couldn't answer her for a few minutes. How? What? Huh?? Finally Allan said, "Well, I guess that seals the deal!" But what really, really sealed the deal for me was her name. You can read the story of how we came up with her name on the previous post. I couldn't sleep on the night we received the referral, and we kept trying to agree on a name. Finally we did...and it was beyond perfect. I still can't believe how perfect it is. I love, love, love the name (between you and me, I love it more than our first two daughters' names). Then I knew. 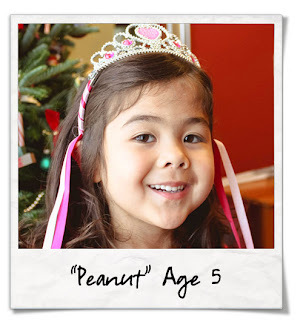 This child, the one we see in these pictures, her name is Siana Lu. This name belongs to nobody else but her. She is ours. God is gracious. And He is creative! I can't wait to tell Peanut how much role she had in bringing her sister home.